One of the hardest parts of being a new teacher for myself was appropriate consequences for behavior issues in my classroom. I would get angry and would assign a consequence according to my anger level. This resulted in unbalanced, unpredictable consequences in my classroom. Phone out in class for the 5th time in the class period? Then you’d get a 5th verbal warning in the class period. But a kid who got up out of his desk without permission, even to throw away trash or something equally silly, I would irrationally move their seat or (only one time!) send them out of the classroom. And because discipline was unbalance and unpredictable, you can bet that my reputation among students and my peer teachers was that I was unbalanced and unpredictable as a teacher. In truth, I was assigning consequences from a place of emotion and personal preference (I don’t really care if kids chew gum, but, personally, I think it’s incredibly disrespectful to walk around the room while I’m teaching). Over the years, I finally got ahold of assigning consequences to inappropriate behavior after a conversation with my mom, of all people. My mom was a banker, not an educator. 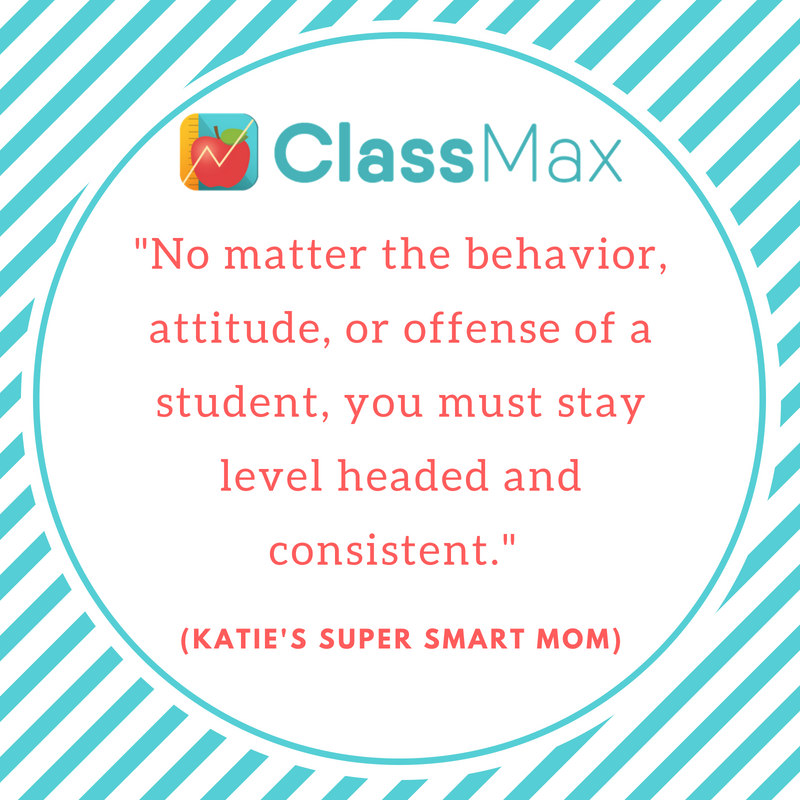 But she was a pretty darn good mother, who turned out two successful daughters over her lifetime, and it was a simple suggestion from her that reframed how I approached consequences in my classroom and, ultimately, how I built it into our ClassMax platform. From then on, my discipline was much more systematic than emotional and I saw the immediate positive response from my students. Now, I used a set order of consequences. The problem was that no matter how organized and formulated my consequences were in a list taped to my computer screen, when I was in the heat of a disciplinary action, I had a hard time monitoring my own responses. Had I already given a warning? Did I call home last time? Was this the third or fourth time I had an issue with that student? I quickly realized that good recording keeping was a big factor in effective discipline in my classroom. Teacher Tip: Need different consequences and behaviors? They are customizable in your settings! 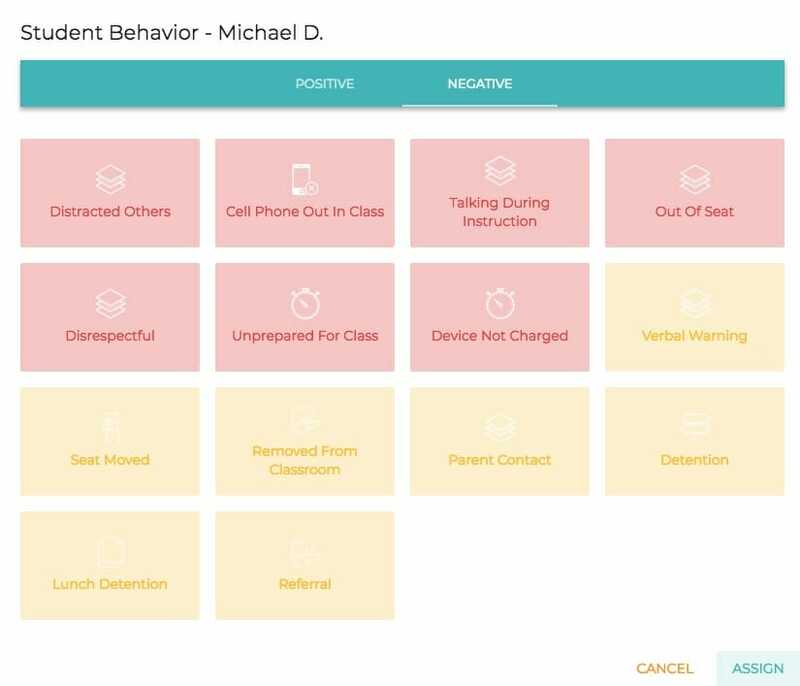 When we started building out the behavior tracking component of ClassMax, we naturally built in a positive and negative behavior tracker. Isn’t that what most behavior tracking programs have? But that wasn’t enough for me to be “level headed and consistent.” So, I also made sure we had a consequence tracker, as well. Now, when I assigned the behavior, I had my list of behavior consequences, in order, right in my hands on my phone or tablet. And if I couldn’t remember previous behaviors or consequences, a quick check of the student behavior report or notes told me everything I needed to know. And it took SECONDS. This allowed not only my record keeping and data tracking to stay current, but it ensured that I was consistent in my reaction to behaviors. In a classroom, it is easy for things to become chaotic and messy. But especially in the middle of the chaos, there has to be level headed and consistent discipline. It’s how we set our boundaries as teachers, how we claim control of our classrooms, and how we teach children to be better people. Let ClassMax help you become that steadfast, calm voice of reason. After all, we can use all the help we can get, right?! Find more information on our behavior tracking here. 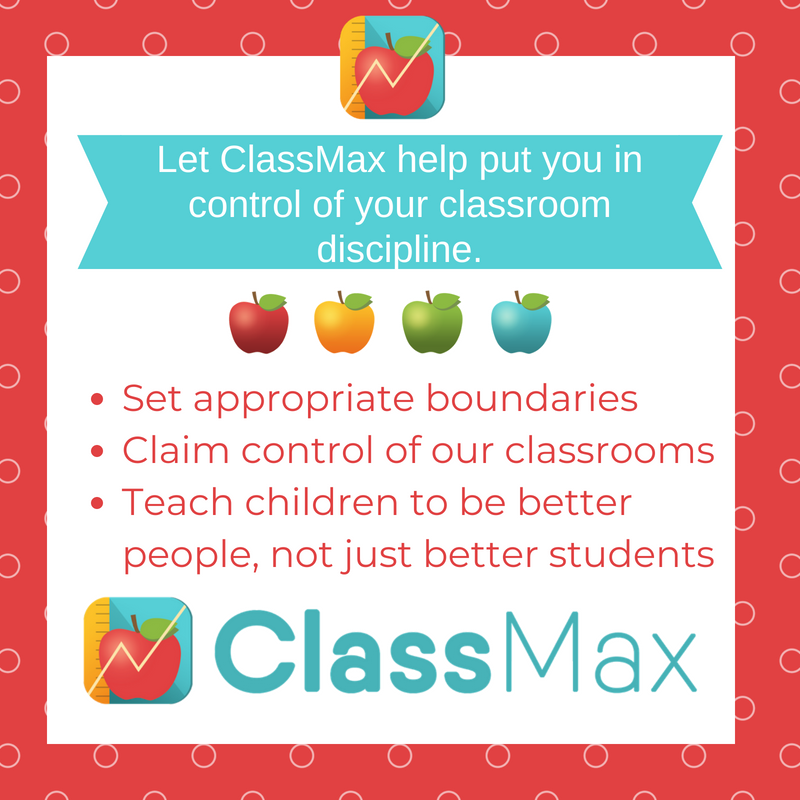 This entry was posted in Behavior Monitoring and tagged ClassMax, student behavior.